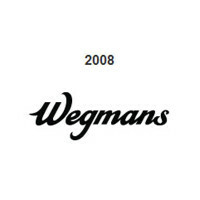 Wegmans Food Markets, Inc. is a supermarket family-owned company that operates in the mid-Atlantic and New England regions. They sell grocery products in retail, which they sell in-store but a delivery option is also available. The company’s headquarters is currently located in Rochester, New York. In 1916, the company was first founded as the Rochester Fruit and Vegetable Company by John and Walter Wegman. It was in 1968 that they opened their first store in Syracuse, signaling their expansion beyond Rochester. They then opened stores in Pennsylvania in 1993 and New Jersey in 1999. The company has 95 stores as of 2017. They have been listed on Fortune magazine’s annual list “100 Best Companies to Work For” since its first iteration in 1998. The supermarket chain achieved a milestone in 2017 when they appeared on the list for the 20th straight year. Employees who work at Wegmans enjoy many additional benefits such as healthcare plans, which cover their dental health and pharmaceutical products. Educational plans are also given yearly for employees who want to pursue their studies. They can also get six paid holidays every year and paid vacations. Employees also loved working for the company because of the discounts and coupons that the company gives to them. They also mention the benefits they get as a big help to their lives. Applicants who wish to work at one of the company owned supermarkets should be at least 18 years old. They also accept minors who are at least 15 years old. The company offers fulfilling culinary, corporate, customer service, and management careers among many others to applicant who wish to work for them. Floral Customer Service: Floral customer service employees make floral arrangements for sale and special orders. They work with the entire flower shop staff to make the best arrangement. It is also their duty to make sure that the flowers are of the best quality. Their job also includes unloading deliveries and making sure that the equipment is taken care of for safety. Pizza Customer Service: Pizza customer service employees have the responsibility of preparing products such as pizza, chicken wings, and many more. They follow the rules and guidelines to make sure that the food they serve is safe to eat. Also, they need to master the recipes to produce products that are consistent in taste. Bakery Customer Service: Bakery customer service employees work at the bakery to prepare pastries for customers. It is their job to ensure the products are fresh by rotating them and following the standard procedures to promote products consistency. They also need to follow the rules and guidelines in food preparation and sanitation. Grocery Customer Service: Grocery customer service employees are responsible for taking care of the groceries. They make sure that the shelves only have the freshest products by making sure everything isn’t past its expiry date. They also refill the shelves if needed and carry boxes of groceries at times. If customers ask questions, they need to answer kindly and give them what they need. Market Cafe Server: Market Cafe servers take and serve customers’ orders. They provide suggestions to customers who need them and provide excellent customer service. They need to have a good understanding of the menu. It is also their job to keep signs properly placed, give customers what they need, such as utensils and tissue. Evening Pub Server: Evening pub servers take and serve pub customers’ orders. They are charged with giving awesome customer service to give customers a reason to come to the pub again. They need to have a good understanding of the products to provide suggestions whenever it is asked of them. Servers make sure that every table has everything they need. Facility Maintenance Mechanic: Facility maintenance mechanics take care of the establishment’s facilities. They examine equipment to see if there is any irregularity and they also do preventative measures. Their shifts are commonly at night or evening, so they need to have the ability to work in such times. Pub Host: Pub hosts greet customers when they first enter the establishment, and make sure that they are off to a pleasant start. They lead guests to their tables and give them everything they need, prepare for reservations, and make sure everything is clean and in order. Restaurant Server: Restaurant servers take and deliver customers’ orders. Servers provide customer service by making sure that patrons are happy with their experience by giving them everything they need and giving suggestions when asked. They need to have a pleasant attitude, stamina to walk while working, and understanding the restaurant’s menu. Bakeshop Supervisor: Bakeshop supervisors oversee the day-to-day operations of the supermarket’s bakeshop. They lead their fellow employees to perform tasks in the way that they are supposed to be done. They also need to see to it that the bakeshop is following rules and regulations in food preparation and sanitation. Those who want to work for the company need only to submit their fully filled out application form or resume to the nearest Wegmans supermarket. For applicants who do not want to do an in-store application, an online application is available. They only need to go to the career section of the company’s website and find a job that suits them. Applicants need to read the application form thoroughly to avoid any mistakes and so that they can tailor their answers to the position they are gunning for. For those who prefer instead to submit a resume, it will be better to keep it short but still substantial because hiring managers are typically very busy people. In the interview phase, interviewees should arrive on time or ahead of time. They must also wear proper attire and focus on the questions asked by the interviewer, so they can answer properly. The company’s culture is centered around family values and love. They make sure that every customer feels the warmth of its employees and that every customer that walks out of the supermarket will be another member of the family. On February 5, 2018, the company announced of the news that it will employ 475 new employees in their new store in Lancaster, Pennsylvania. It is said that 175 of these jobs are full-time positions. The company is known for the wide array of products that they offer aside from groceries. They have pubs, bakeshops, and restaurants. Another thing people love about them is that they operate 24/7 in selected locations. The company, as a family, also helps out its neighbors. They sponsor many hunger relief events and make donations to food banks to help out the less fortunate. 1 How old do you have to be to work at Wegmans?